Using BI to drive down operational costs and effectively manage risk. How many times have you felt yourself shrinking smaller and smaller as you face another inquisition by the executive team? 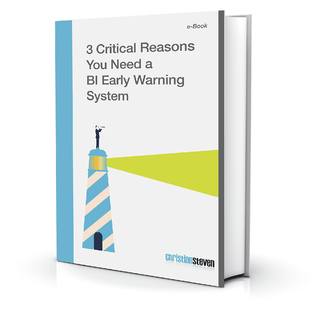 In this eBook you’ll discover how implementing an effective Business Intelligence early warning system with automated alerts, report generation and report distribution will position you and your team as proactive leaders and trusted advisors to the organization.